The structure indicated is the internal carotid artery. The internal carotid arteries arise from the common carotid arteries. The brachiocephalic artery arises from the arch of the aorta and divides into the right subclavian artery and the right common carotid artery. The common carotid arteries then divide into the external carotid and internal carotid arteries. The internal carotid artery ascends to supply the brain, joining the circle of Willis. 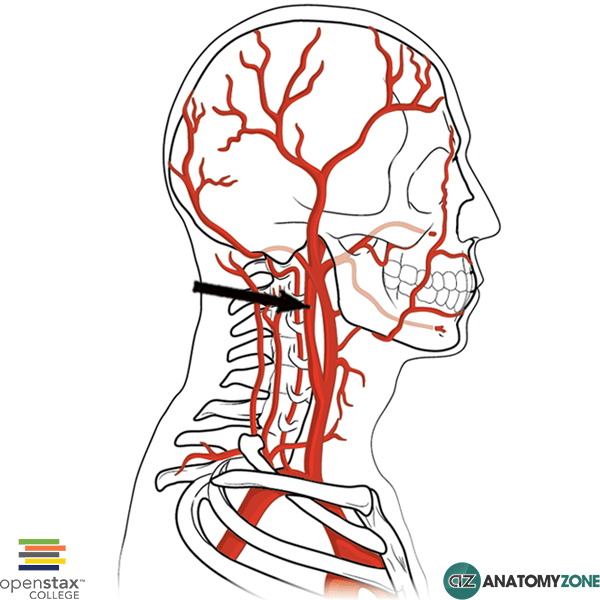 The external carotid artery supplies the structures of the head and face.